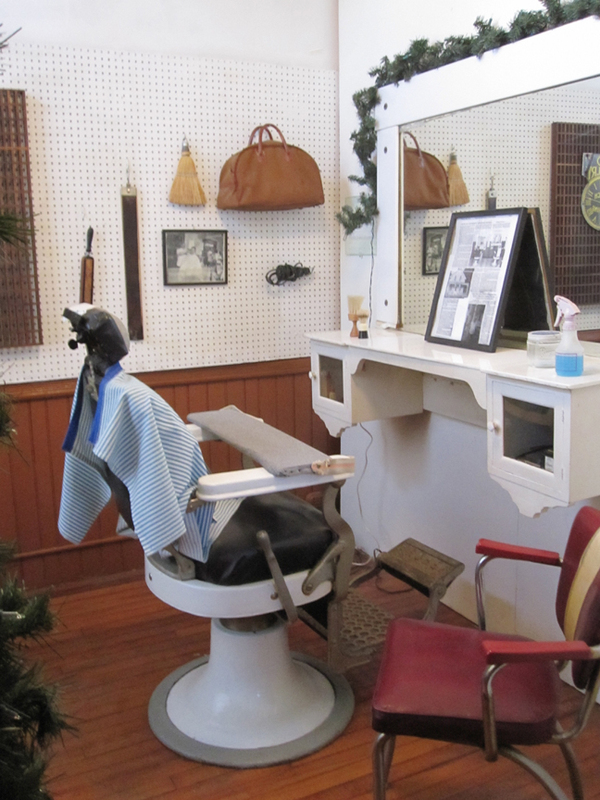 As would be expected, a barber shop was a familiar and necessary part of the downtown scene . . . 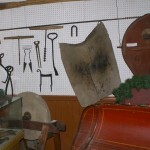 The entire barber shop is set up just as it was when used by Nick Marro, barber, for many years in Ludlow. Many Ludlow visitors recall sitting in the barber chair having their hair cut. Just outside the door is the “painless” dentist drill used by Drs. Stevens, Hope and Bixby. We have been informed that it was not “painless”.